We are very pleased to finally release User-Tagging, which is now available. 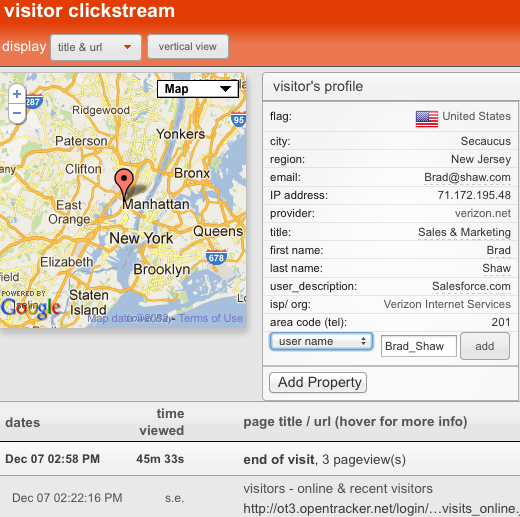 User tagging allows you to actually edit the Visitor Profiles for each and every visitor with a simple mouse click. User-tagging demo video from Opentracker on Vimeo. This new feature turns Opentracker into a very powerful CRM system – you can combine contact information with actual website browsing history. Example: send out an email and combine response to your newsletter with insight into what each recipient (email address) actually looked at on your website.